Build endless track systems with the marble elevator from this new Quercetti 150 pcs Migoga set. 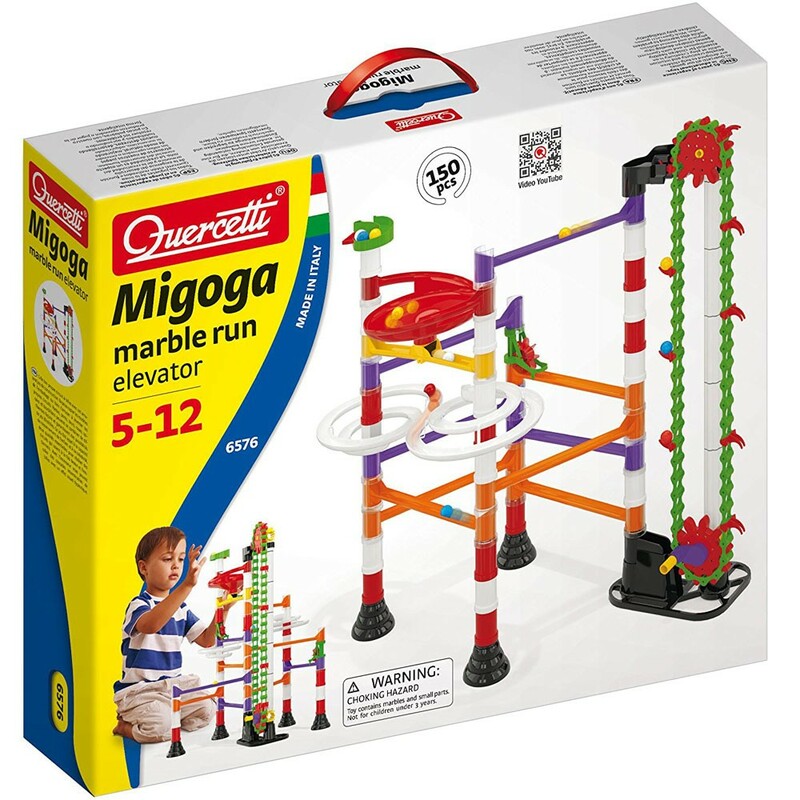 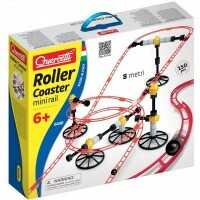 Quercetti brings all young builders' favorite Migoga marble run with the mechanical elevator to bring the marbles on top of your engineering creation. 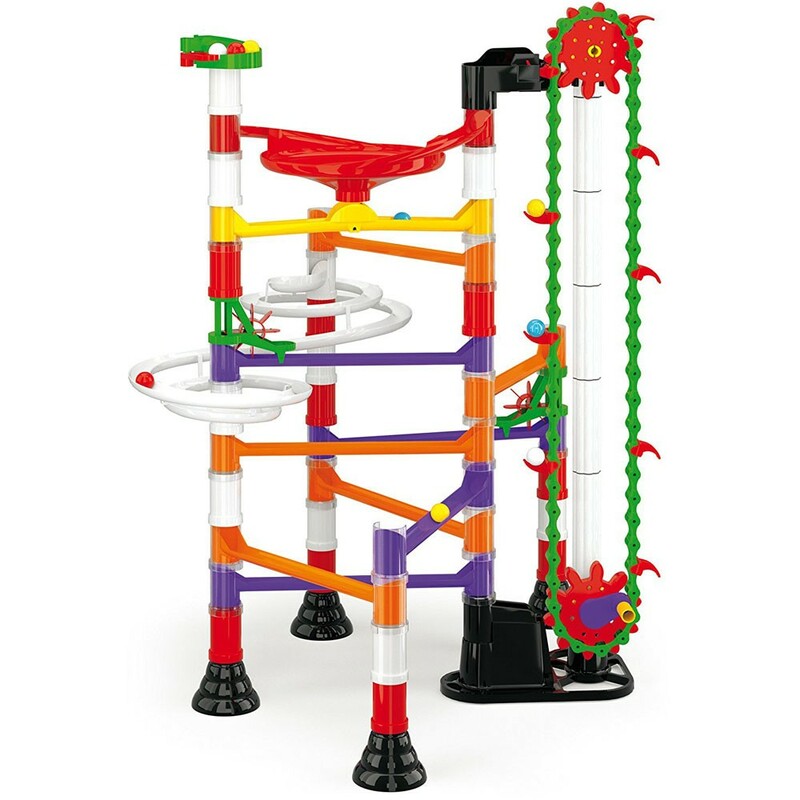 Quercetti Migoga Marble Run with Elevator is a new addition to the building toy line of the award winning Italian toy manufacturer. 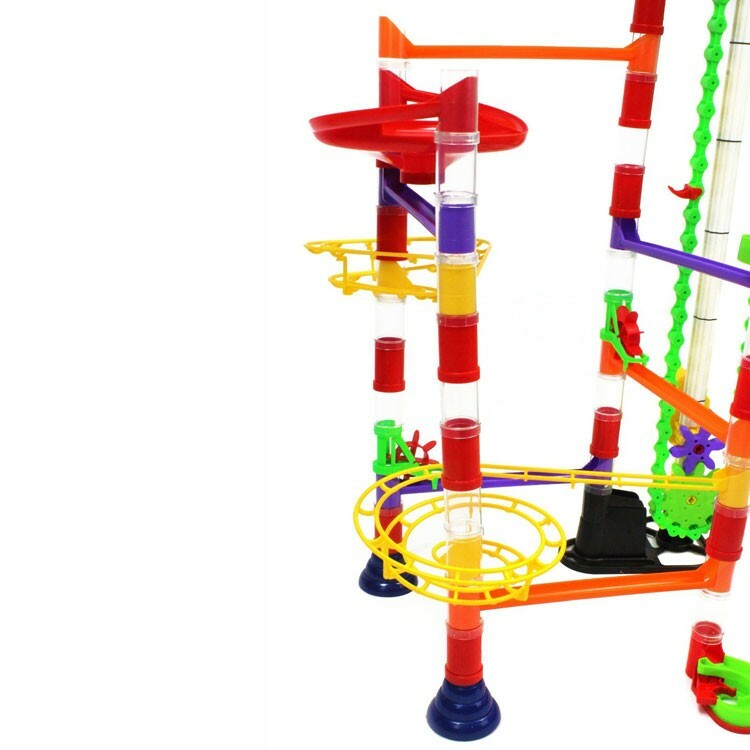 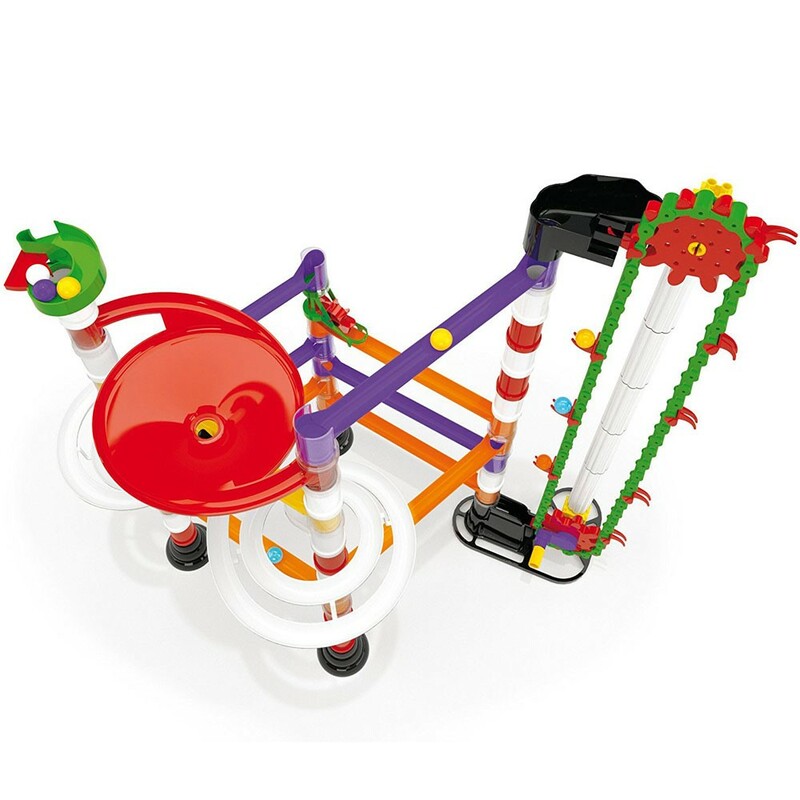 With the 150 colorful pieces of this Migoga set from Educational Toys Planet children can build the marble runs from the enclosed booklet, or use their own vision, experiment, and create their own endless designs of the marble track systems. 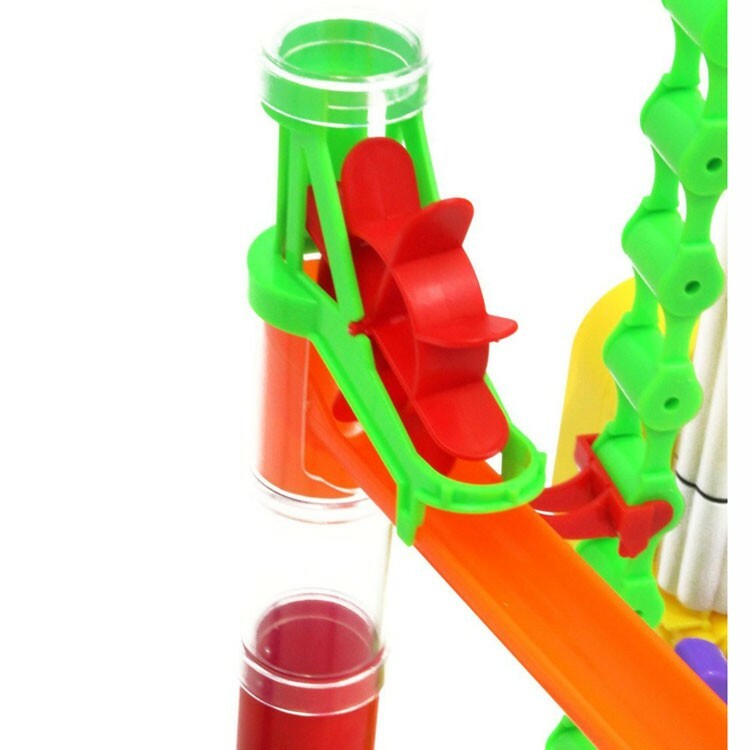 Kids will love to explore the engineering possibilities, cause and effect, principles of mechanics, as they build a multilayered, interconnected marble run. 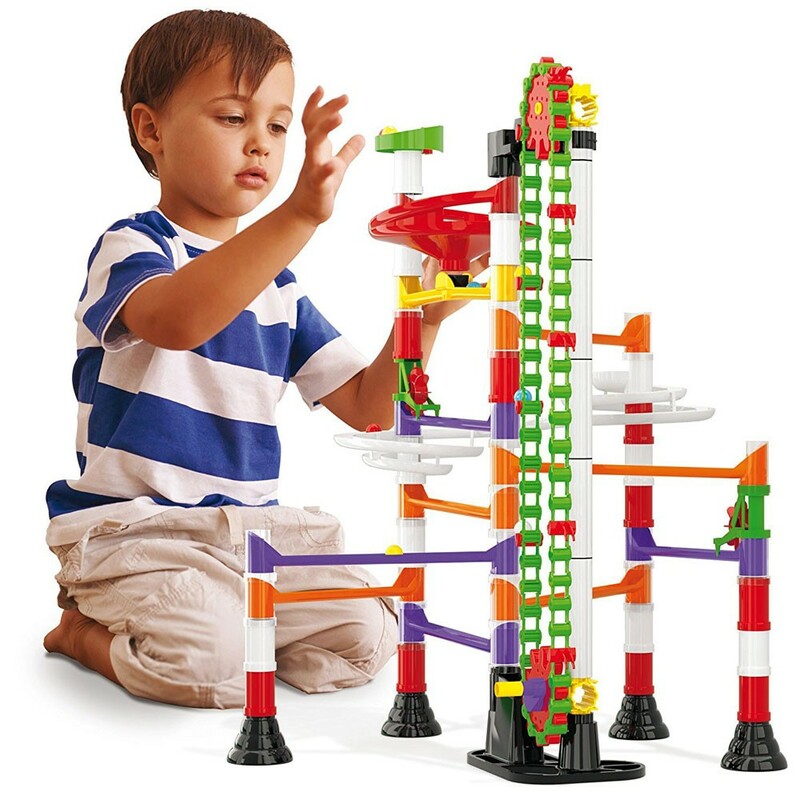 Quercetti Migoga Marble Run with Elevator features 150 pieces including interlocking chutes, bridges, spirals, funnels, gears, elevator chain, column bases, and marbles. 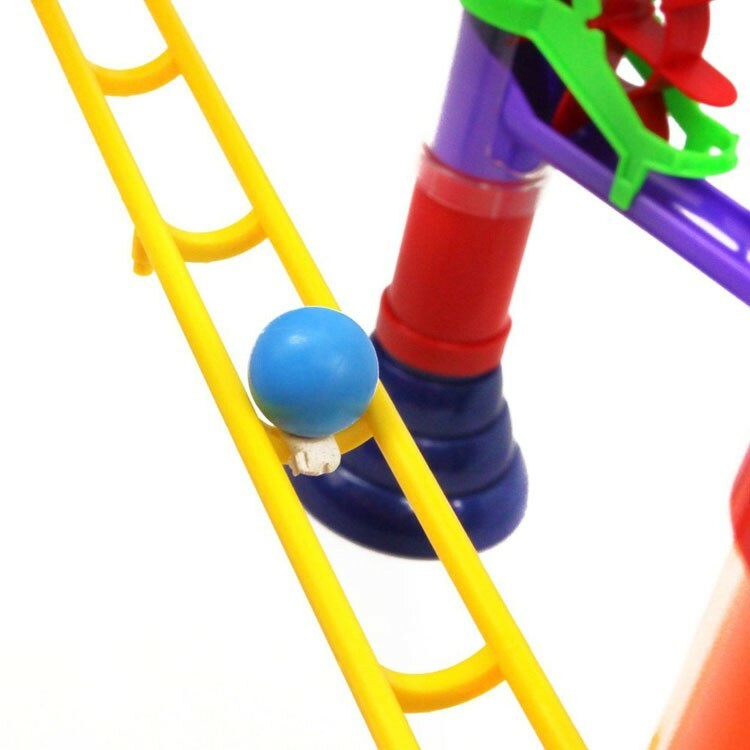 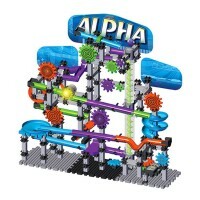 It is not only fun to build the marble runs, but to watch the marbles speeding down the chutes and tracks. 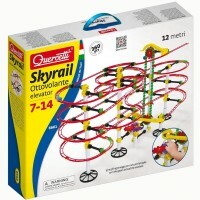 Great toy to build. 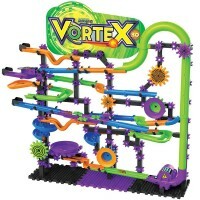 Awesome toy to play with. 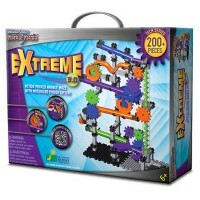 Amazing toy to learn with. 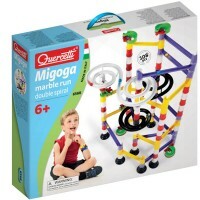 Dimensions of package 3.5" x 17.5" x 14.75"
Write your own review of Quercetti Migoga Marble Run with Elevator. 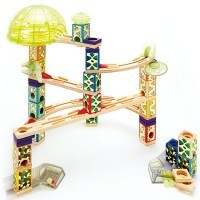 Rating: 5 Mind bending toy by By A customer It is a very engaging mind stretching toy that lasts for years. 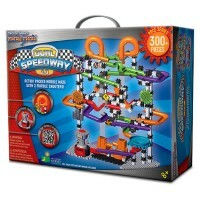 Eventually children won't need parents help to build it and it's the best part of it. 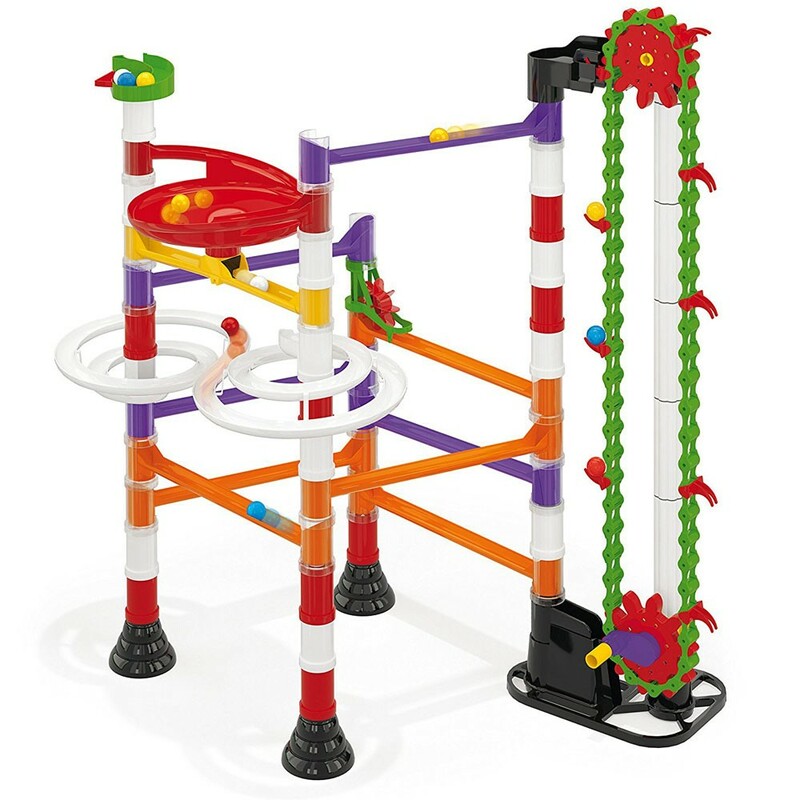 It takes some skills and understanding to assemble a tiny elevator that comes with the set, and kids are so proud when they can do it independently. 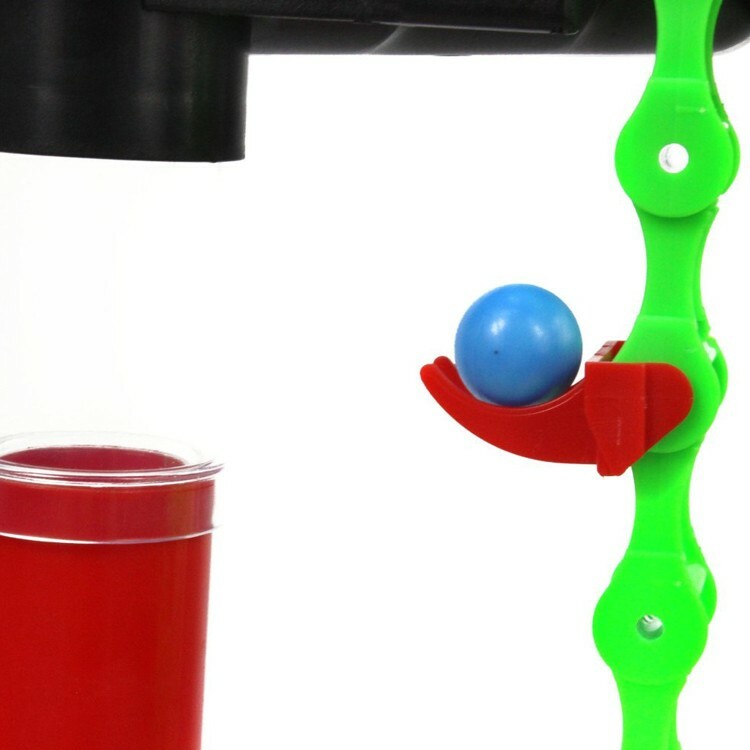 You can find more right size marbles in dollar stores or on Amazon. 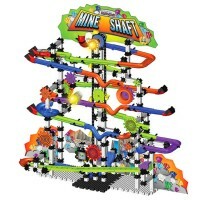 Rating: 4 Four Stars by By A customer It's a decent addition to our collection. 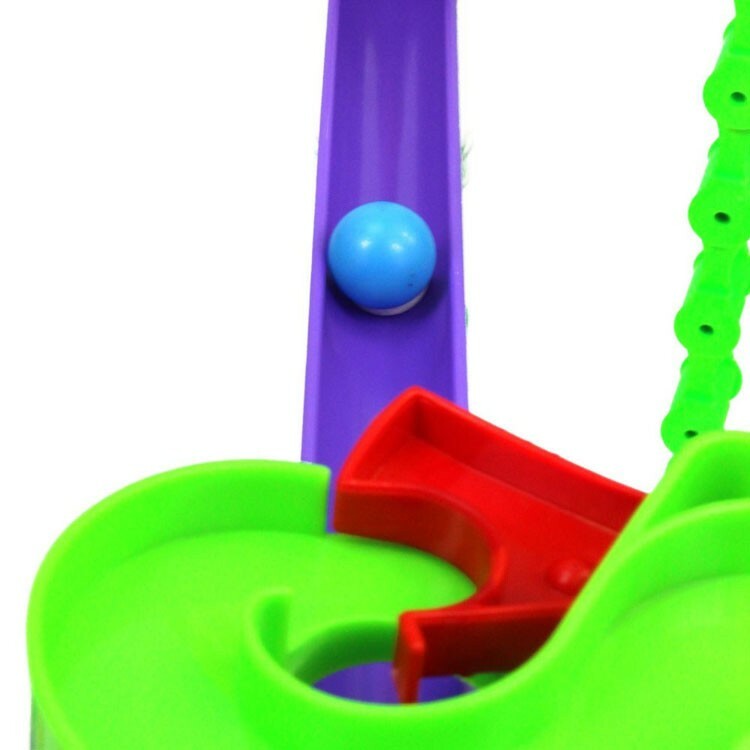 Rating: 5 My kids love this as do the adults by By A customer My kids love this as do the adults :) The marbles are custom size but if you lose them all you can put some gob stoppers in water until they dissolve to the right size.